It’s almost St. Patrick’s Day and we are guessing some beer drinking will be in order. 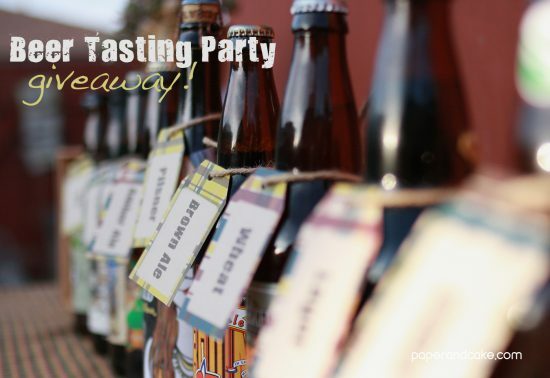 Why not make a party out of it and get your beer tasting on? Enter our printable Beer Party Giveaway for your chance at a set of our Plaid Beer Tasting Printable Party for FREE! 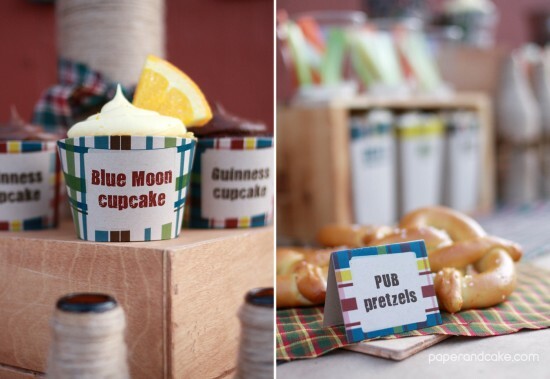 This party is great for anyone who enjoys a little brew! Not a drinker? Save it for Father’s Day or even just your husband, brother, son or father’s birthday party. This masculine set can easily transform your backyard into a plaid jungle or an Irish pub. All you have to do is FOLLOW OUR BLOG. Then come on back and leave a comment on this blog post telling us anything you like about this set or what your favorite beer is. Please be sure your correct contact information is included in your comment. Oh, and obviously this one is open worldwide. Winner will be chosen at random on Wednesday 03/19/14 at 8pm pst, and announced immediately following. This is so cute for Father’s Day. My father in law in becoming a bit of a beer connoisseur and would love this!